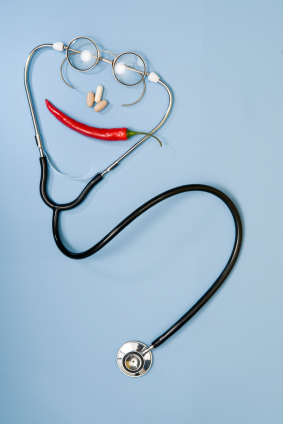 Looking for a hot way to stay healthy? 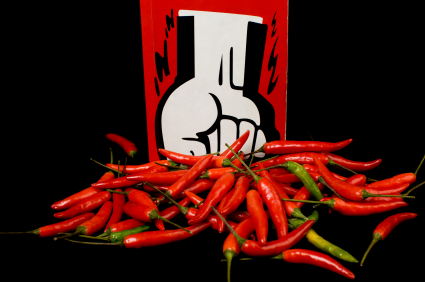 Just munch on chile peppers, nature’s favorite spicy health food. Chiles dish up more than merely a zesty explosion for the palate; they are packed with nutrients that have scientists buzzing. Both health experts and chefs have known for years that chile peppers – chopped, pureed, ground, canned, dried, or flaked – can add so much flavor that you can trim the unwanted fat and salt in many dishes. One hot chile pepper contains only 18 calories, 1 gram of protein, 0 grams of fat, 4 grams of carbohydrates, and 3 milligrams of sodium. Evidence is pouring in on why you should be noshing on chiles. Not only are these fiery vegetables low in fat, low in sodium, and high in fiber, they are veritable power plants of vitamins (A, B1, B2, B3, C, and E), phytochemicals, and antioxidants. According to researchers in the Ethnobotany Department at Fort Lewis College in Durango, Colorado, one medium green chile contains up to six times the amount of vitamin C in a Valencia orange, and twice the amount of vitamin A and beta carotene in a carrot. 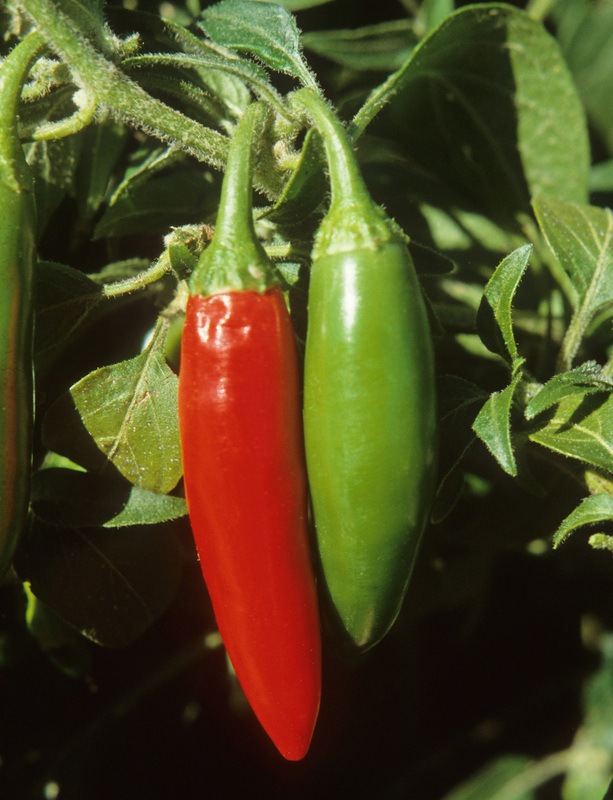 This makes the humble chile pepper an valuable – and tasty – source of nutrients that boost the immune system. Phytochemicals are compounds produced by plants to protect themselves from infection and stress. Research is now showing that some of those benefits can be transferred to humans when we eat those plants – especially colorful fruits and vegetables. Phytochemicals have been associated with preventing heart disease, high blood pressure, diabetes, prostate problems, osteoporosis, macular eye degeneration, and many types of cancer. 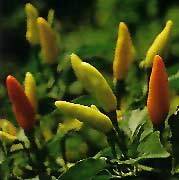 Chiles come in a painter’s palette of shades, from black-purple to chartreuse. Various phytochemicals with different health-protective activities are found in plant foods with different colors. Red plant foods boost lycopene, which may reduce the risk of certain types of cancer. Red-purple plant foods contain anthocyanins, antioxidants that may improve circulation and fight against cancer. Orange plant foods provide a bounty of beta carotene, an antioxidant that may improve cell communication and help stop the spread of cancer. Eating orange-yellow plant foods may provide phytochemicals that protect cells. Go for yellow-green plant foods for lutein, which may protect vision. Green plant foods may contain cancer-fighting sulforaphane, isothiocyanate, and indoles. Give white-green plant foods a chance, as they contain sulfur compounds that protect DNA. Antioxidants are substances that help to prevent the damaging effects of oxidation in the body, and diseases related to aging. Antioxidants, including flavonoids, phenolic acids, carotenoids, vitamin A, ascorbic acid, and tocopherols, are plentiful in chiles. Beta carotene, plentifully found in wild chiles, is also thought to be responsible for the bright red plumage of finches, who regularly feed on wild chiles in their habitat.